For use with AGI Gun Barrel Bore Gauges. AGI’s Visual Inspection Camera System has been designed to compliment and be used with the Gun Barrel Bore Gauge. One single instrument that will provide accurate repeatable measurements, whilst also being able to view and record the condition of the barrel. Visual inspection allows identification of any defects such as removal of chromium plating, particularly in the forcing cone, or the leading edge of rifling, erosion, pitting, scoring and, in extreme circumstances, rifling that has been stripped from the barrel. Physical measurement is undertaken with a precision instrument, such as AGI’s Gun Barrel Bore Gauge System. Although separate systems have worked reasonably well, the introduction of safety systems and total quality management programmes require auditable records of the inspection to be made and retained for future reference. Imagery may be captured and stored on a digital recorder or a lap-top computer, using compatible software, enabling in-depth studies of barrel inspections. 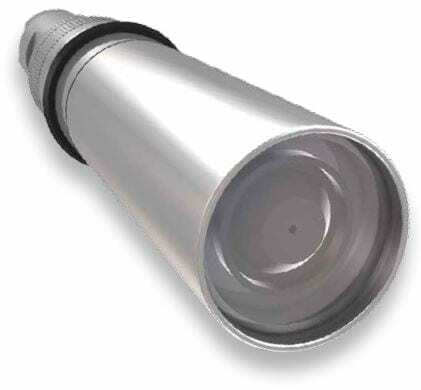 The Visual Inspection System will provide the user with an option to view the internal bore of a barrel with 360o peripheral vision or focus upon a particular area, in more detail, by utilising a 90oviewing head.